Small Business Saturday is Back On November 25th! Small Business Saturday is the Saturday following Thanksgiving and Black Friday, and is a day dedicated to encouraging consumers to support smaller local businesses. 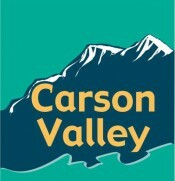 In Carson Valley, the Chamber and Main Street Gardnerville promote this Shop Local effort. You can take advantage of special offers and win prizes at participating businesses. AND you could win the grand prize by filling your passport… all while supporting your small local businesses.